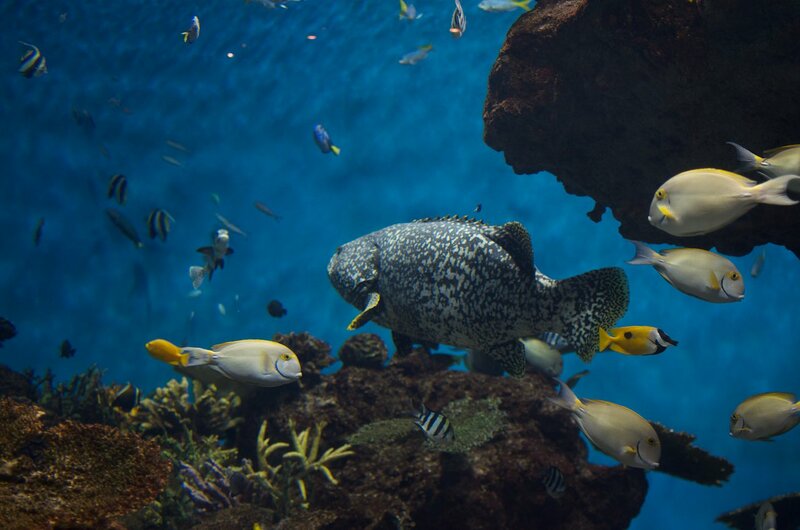 Kagoshima City Aquarium - IO World acts as the ambassador for Kagoshima Prefecture's abundant and diverse marine wildlife. This 5 story (7 if including the dolphin theater) medium-sized aquarium is famous for its large ocean tank that houses a whale shark. 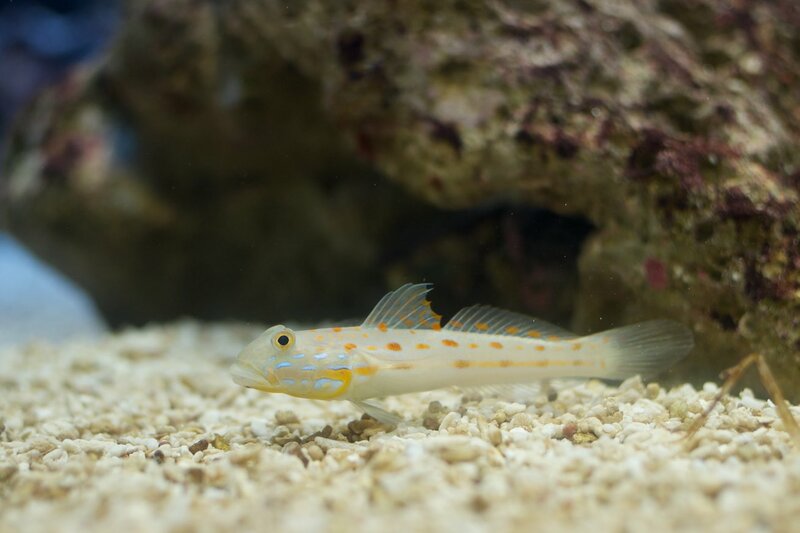 While most aquariums run out of interesting local animals after a tank or two, the prefecture's unique location allows Kagoshima City Aquarium to keep its focus on the immediate region throughout. 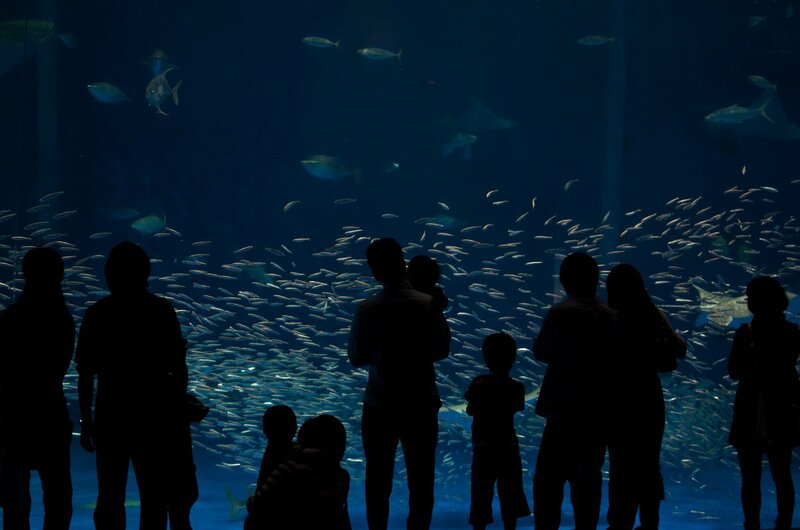 Kagoshima City Aquarium - IO World is located close to the water and not that far from downtown. Kagoshima Prefecture extends from the southern end of Kyushu to island chains like Amami-Oshima deep in the Pacific Ocean. 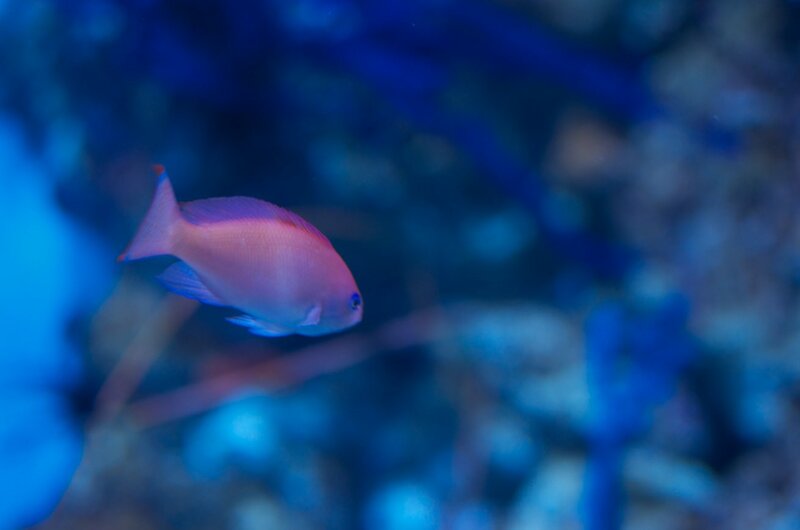 Coral reefs surround these islands giving shelter to diverse schools of fish. The Kurosio Current flows east to west through this area bringing in large animals like tuna and whale sharks. Kagoshima City is located on Kinko Bay. Pods of dolphin (that the aquarium researches) can be seen here. The great volcano in the middle of this bay, Sakurajima, has blasted rocks and debris to form its own unique habitat for fish. There is actually a whale shark in this picture. 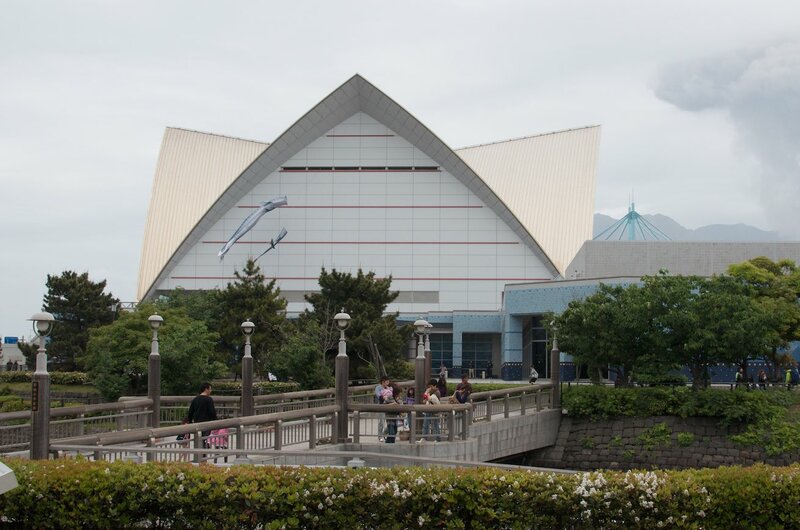 Kagoshima City Aquarium opened in 1997. 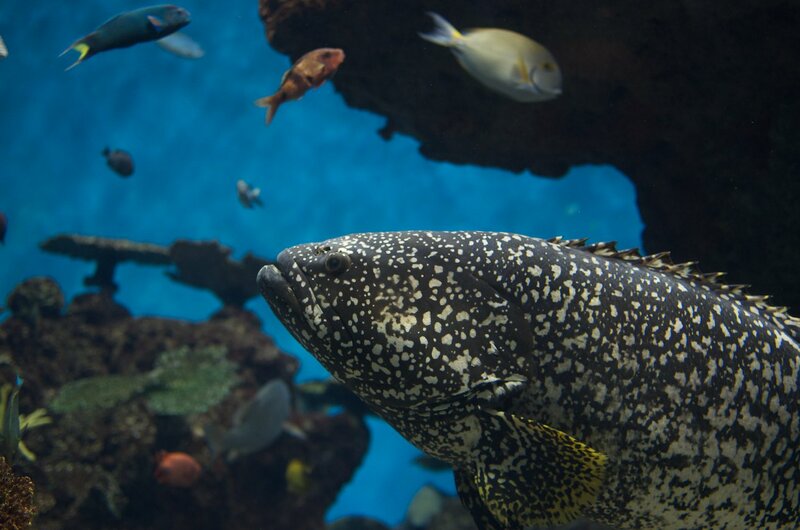 The resident whale shark has been a major star since the first one made its debut in 2000. 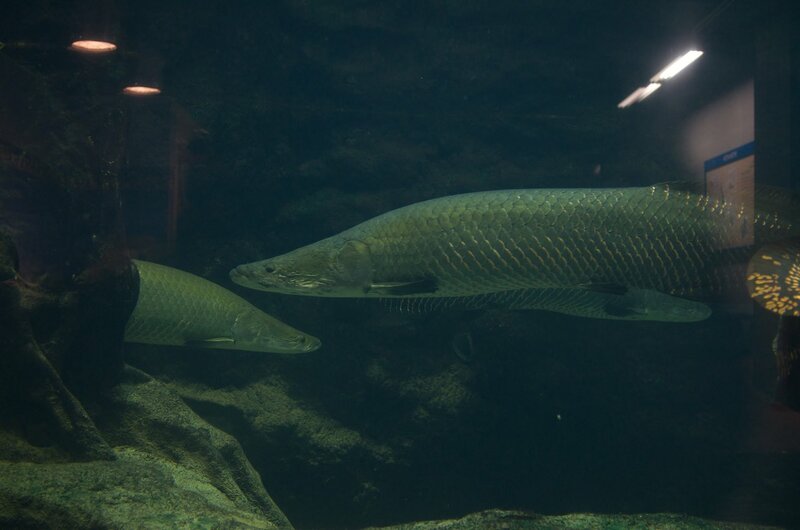 There is only room for one of these huge animals in the largest tank. Once they reach over 5 meters, they are released back into the wild. If kept indefinitely, they would outgrow the tank. 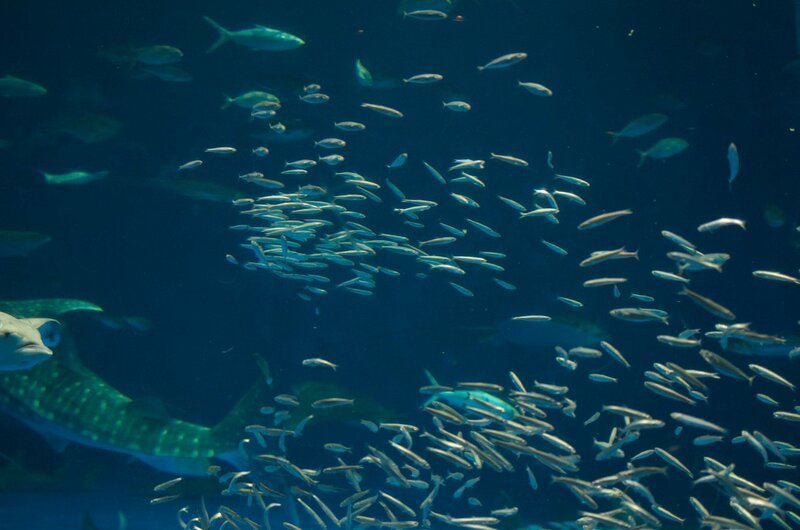 As of 2015, five whale sharks have been cycled through the aquarium. The sixth was captured in 2011. If you're into looking at whale sharks, Osaka Aquarium has a larger tank than this one. 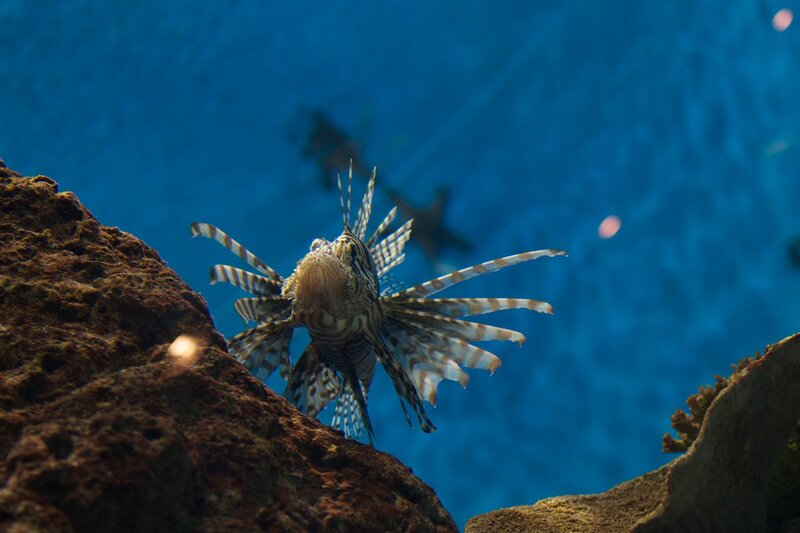 Kagoshima City Aquarium may well be my favorite aquarium on Kyushu. A larger portion of the animals exhibited come from the area compared to most aquariums in Japan. 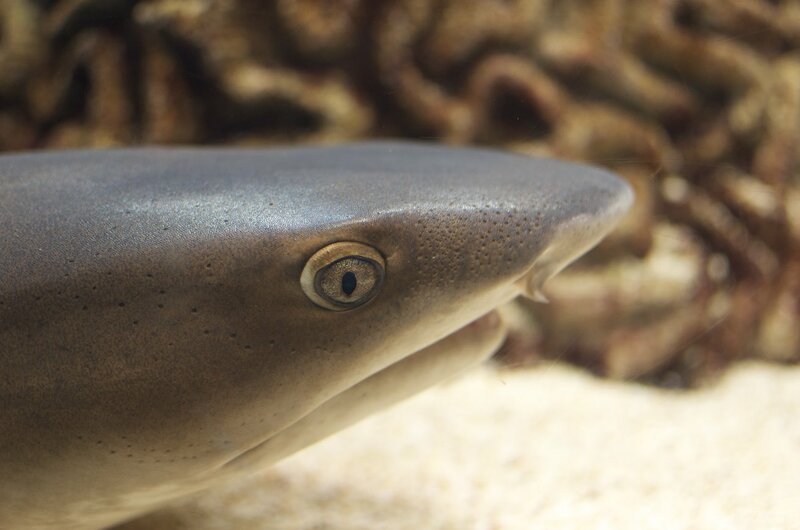 It faces some stiff competition from Umitamago in Beppu City or Marine World in Fukuoka City. It doesn't have the flashy outdoor views or walkways that those ones have. This is probably just as well as when the nearby volcano, Sakurajima, is active dust gets everywhere. The fact is Kagoshima Prefecture has many compiling narratives to tell about its environment and this does a very good job of telling them. Well written signs in English and Japanese explain the ecosystem each of the tanks represents. 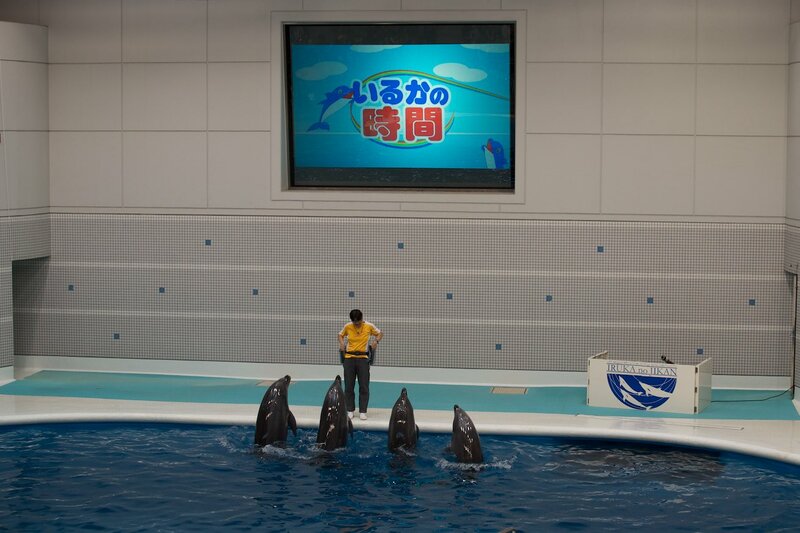 The dolphin show is not a flashy and exciting production compared to most. 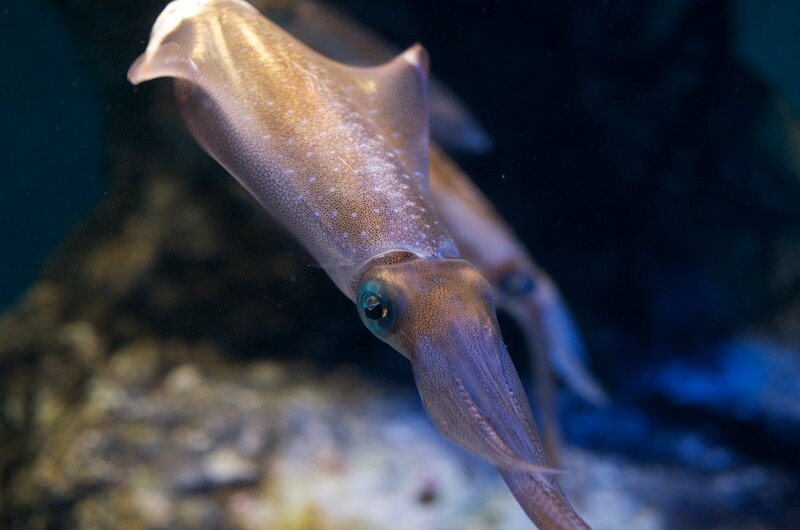 Kagoshima City Aquarium - IO World is located next to the ferry terminal to Sakurajima near downtown Kagoshima City. 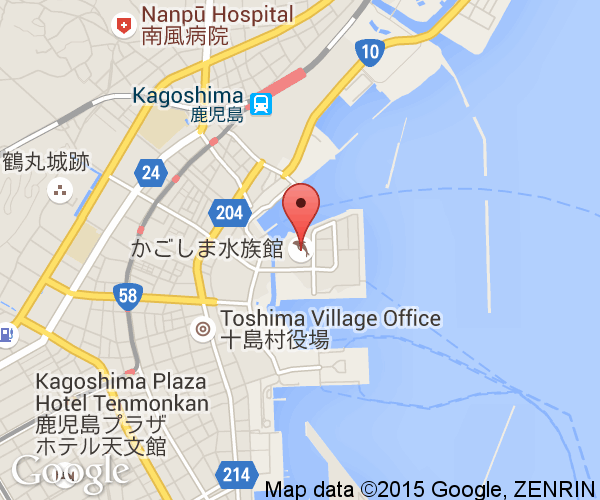 It is a 15 minute walk from JR Kagoshima Station on the Kagoshima Main Line to the aquarium. The main station, Kagoshima Chuo Station, is further away and taking a tram or a bus are good options. The tram stops an 8 minute walk from the aquarium. From the airport, the "limousine" bus to Kagoshima City stops at Kinsei-Chō (金生町) which is a a 15 minute walk from the aquarium or a 3 minute bus ride.